Sea ice is frozen ocean water. It forms, grows, and melts in the ocean. In contrast, icebergs, glaciers, and ice shelves float in the ocean but originate on land. For most of the year, sea ice is typically covered with snow. Why is Arctic sea ice important? A small temperature increase at the poles leads to still greater warming over time, making the poles the most sensitive regions to climate change on Earth. According to scientific measurements, both the thickness and extent of summer sea ice in the Arctic have shown a dramatic decline over the past thirty years. This is consisistent with observations of a warming Arctic. The loss of sea ice also has the potential to accelerate global warming trends and to change climate patterns. For more on the ways sea ice interacts with other Earth systems, including global ocean circulation, people, and animals, see All About Sea Ice: Environment. What is sea ice extent, and why do you monitor that particular aspect of sea ice? 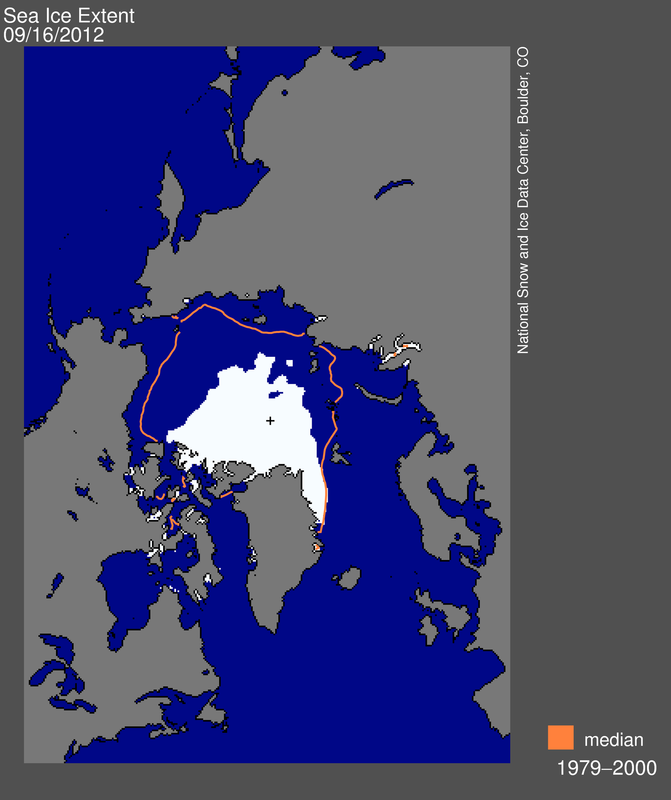 Sea ice extent is a measurement of the area of ocean where there is at least some sea ice. Usually, scientists define a threshold of minimum concentration to mark the ice edge; the most common cutoff is at 15 percent. Scientists use the 15 percent cutoff because it provides the most consistent agreement between satellite and ground observations. Scientists tend to focus on Arctic sea ice extent more closely than other aspects of sea ice because satellites measure extent more accurately than they do other measurements, such as thickness. For more on sea ice extent, see Frequently Asked Questions About Arctic Sea Ice: "What is the difference between sea ice area and extent?" What is the Arctic sea ice minimum? 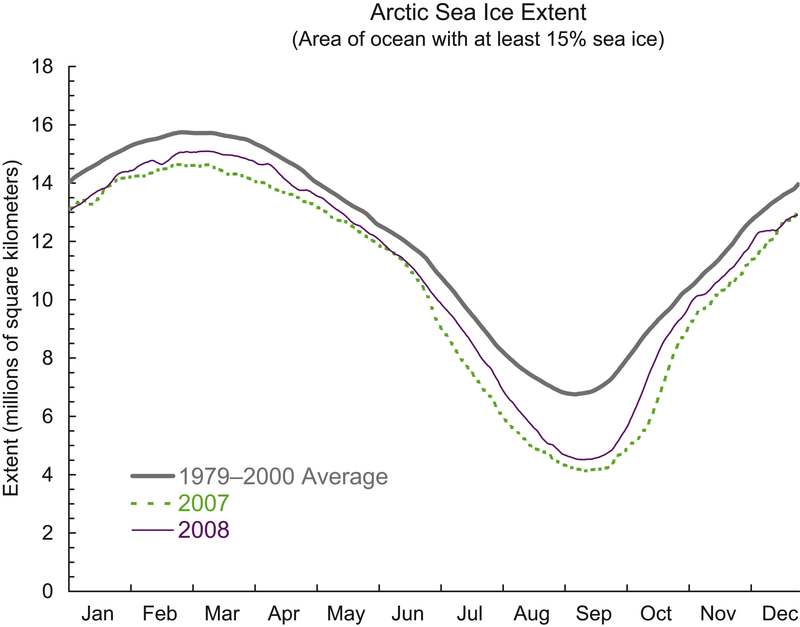 The Arctic sea ice minimum marks the day, each year, when the sea ice extent is at its lowest. The sea ice minimum occurs at the end of the summer melting season. The summer melt season usually begins in March and ends sometime during September. The sea ice minimum has been occurring later in recent years because of a longer melting season. However, ice growth and melt are local processes; sea ice in some areas will have already started growing before the date of the sea ice minimum, and ice in other areas will still shrink even after the date of the minimum. Changes in the timing of the sea ice minimum extent are especially important because more of the sun's energy reaches Earth's surface during the Arctic summer than during the Arctic winter. As explained above, sea ice reflects much of the sun's radiation back into space, whereas dark, ice-free ocean water absorbs more of the sun's energy. So, reduced sea ice during the sunnier summer months has a big impact on the Arctic's overall energy balance. For more information on current sea ice conditions see the Arctic Sea Ice News & Analysis Web page. To read NSIDC press releases on past Arctic sea ice minima, see the Arctic Sea Ice Press Announcements Archive on the Arctic Sea Ice News & Analysis Web page. What is the Arctic sea ice maximum? The Arctic sea ice maximum marks the day of the year when Arctic sea ice reaches its largest extent. The sea ice maximum occurs at the end of the winter cold season. The Arctic cold season usually begins in September and ends in March. Monitoring winter sea ice is important to understanding the state of the sea ice. Scientists have found that Arctic sea ice has been recovering less in the winter, meaning the sea ice is already "weak" when the summer melting season arrives. A possible cause is that the underlying ocean is warmer. How do scientists monitor the Arctic sea ice? Obtaining reliable measurements of sea ice as it changes was difficult until the satellite era began in the early 1970s. To monitor Arctic sea ice, NSIDC primarily has used the NASA Advanced Microwave Scanning Radiometer–Earth Observing System (AMSR-E) instrument on the NASA Aqua satellite and the Special Sensor Microwave/Imager (SSM/I) instrument on the Defense Meteorological Satellite Program (DMSP) satellite. The satellites pass over the polar region several times each day to gather data; researchers can then form the data into images for analysis and publication. Because the AMSR-E instrument is no longer functioning, NSIDC now relies on DMSP data. Useful satellite data concerning sea ice began in late 1978 with the launch of NASA's Scanning Multichannel Microwave Radiometer (SMMR) satellite. When scientists compare average sea ice conditions between years, they often use a 30-year reference period of 1981 to 2010. This reference period allows a consistent comparison of changes in extent over individual years. To learn more about studying sea ice, see All About Sea Ice: Studying; to explore the satellite-derived sea ice images, see the Sea Ice Index. 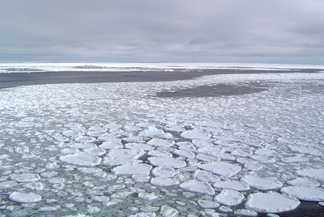 For more information about Antarctic sea ice, see All About Sea Ice: Arctic vs. Antarctic. Also read Frequently Asked Questions About Arctic Sea Ice: "Why don't I hear much about Antarctic sea ice?" Arctic Sea Ice News & Analysis. Follow current sea ice conditions with monthly updates and analysis. Frequently Asked Questions about Arctic Sea Ice. Read scientist answers to common questions regarding Arctic sea ice. All About Sea Ice. 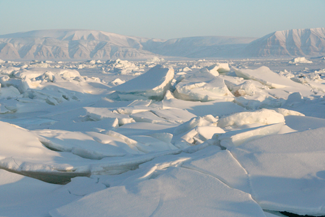 This educational site covers many aspects of sea ice. State of the Cryosphere: Sea Ice. Learn how sea ice has changed in recent years. 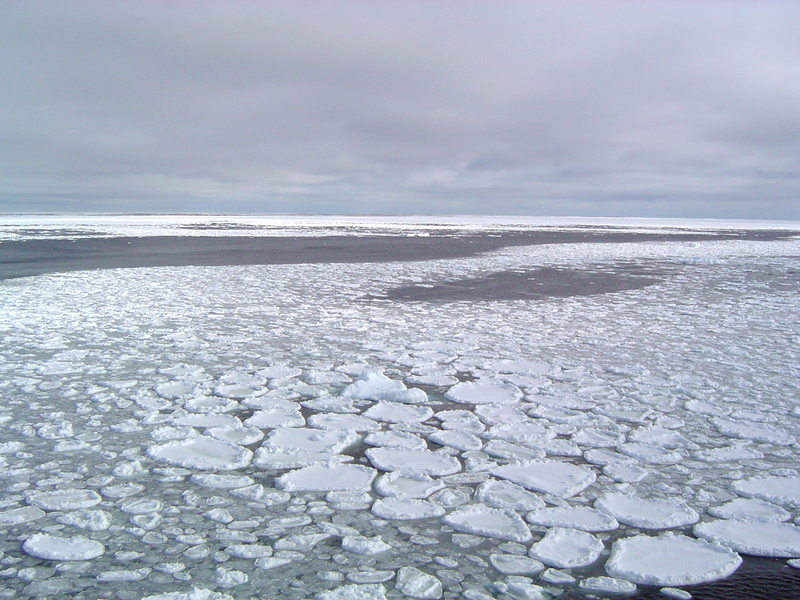 NSIDC distributes scientific data sets related to sea ice. See Sea Ice Products at NSIDC to learn more about our data holdings.